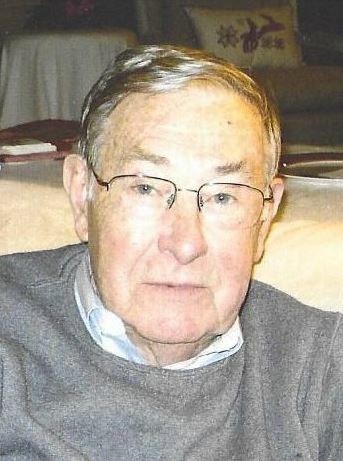 Keith M. Alexander, 87, of Danville, passed away November 27, 2018 in his home. He was born September 30, 1931 in Judson, Indiana, and raised by grandparents Harry and Martha Alexander on the farm. He was a U.S. Navy veteran having served in Korea. Keith married Dolores J. Delp on Christmas Day, December 25, 1954 in Mansfield, Indiana. A skilled machinist, Keith founded Kadel Engineering Corporation in 1976. After retiring in 1996, he and Dolores enjoyed traveling in their motorhome. His naturally inquisitive, self-taught nature, benefited him as an avid reader, ham radio operator, fly fisherman, and pilot. Keith’s integrity, devotion and example will provide for a lasting legacy. Survivors include his loving wife, Dolores Alexander of Danville; daughter, Sheri (Jeff) Trover of Avon; son, David (Lisa) Alexander of Danville; sisters, Margaret Crooke of Fort Pierce, FL, Betty Bedwell of Campton, KY; grandchildren, Felicia (David) Mattingly, Brittany (Matt) Schmitt, Brooke Alexander, Nathan Alexander and four great grandchildren. An open house Celebration of Life (including Keith’s favorite wine!) will be held from 2:00-5:00 pm on Sunday, December 9, 2018 in the Alexander Home at 1625 E Main St Danville, IN 46122. In lieu of flowers, memorial donations may be made to The Gathering Together at www.thegatheringtogether.org. Baker Funeral Home, Danville, will oversee final arrangements.